Winston Churchill is famous for his role in leading Britain to victory against the Nazis. But he was also a writer and artist who painted to battle depression. 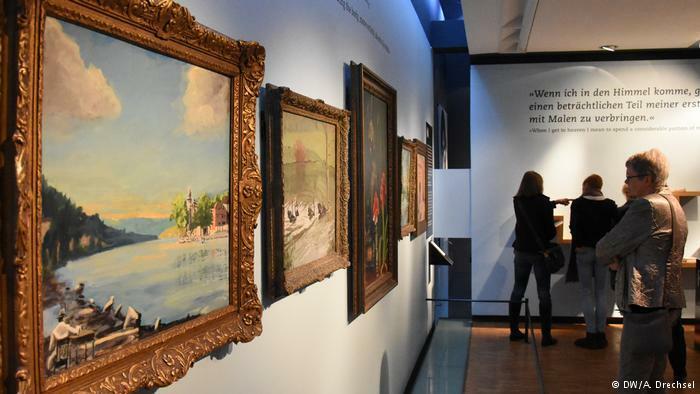 His works are now on display for the first time in Germany. The exhibit succinctly titled "Winston Churchill. Writings. Speeches. Pictures," reveals the lesser known sides of the former British prime minister. When Churchill wasn't painting in his free time, he was writing books about politics or history. In 1953, he received the Nobel Prize for Literature. Churchill was the author of over a dozen books. His speeches still evoke emotion and his thoughts about Europe couldn't be more relevant today. 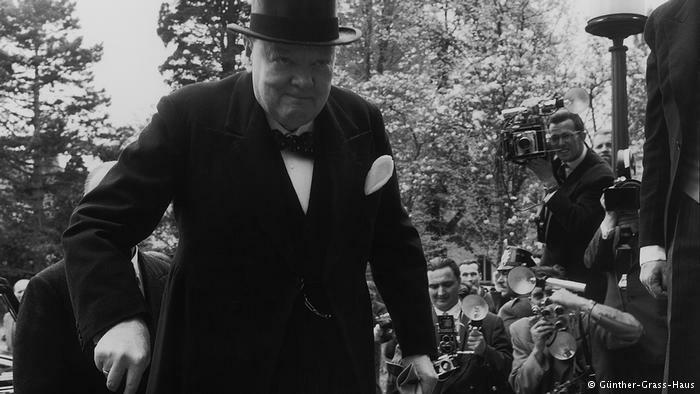 Churchill is pictured here in 1956. Churchill kept a number of animals on his property in Chartwell in Kent county, London. 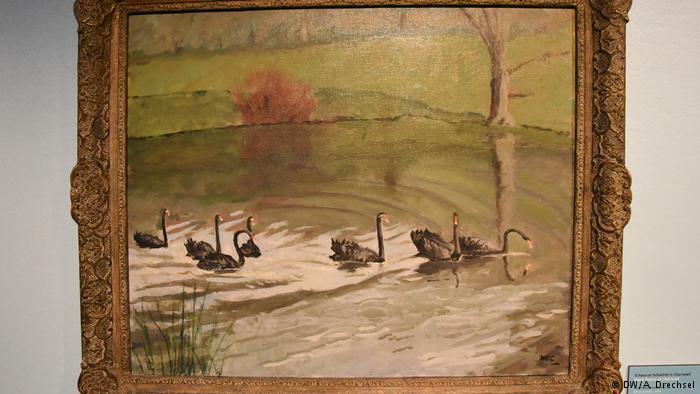 Among them were black swans, which he particularly admired. They were his inspiration for this oil painting. Churchill bought his paints from a Swiss paint maker named Willy Sax. The two became friends and traveled together to southern France. 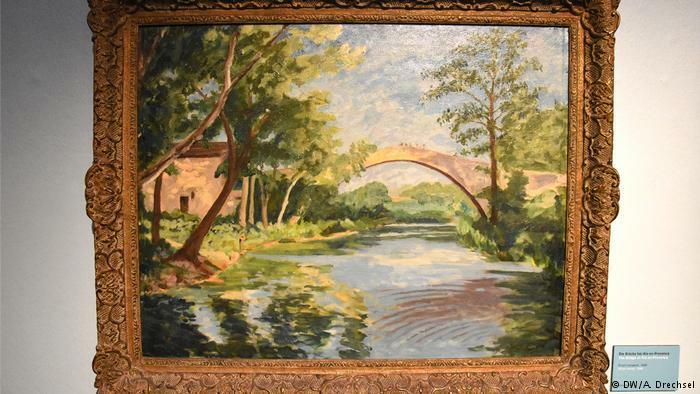 But Churchill's painting of a bridge in Aix-en-Provence wasn't created in France. Instead, he painted it in his studio, based on a photo taken by Sax. 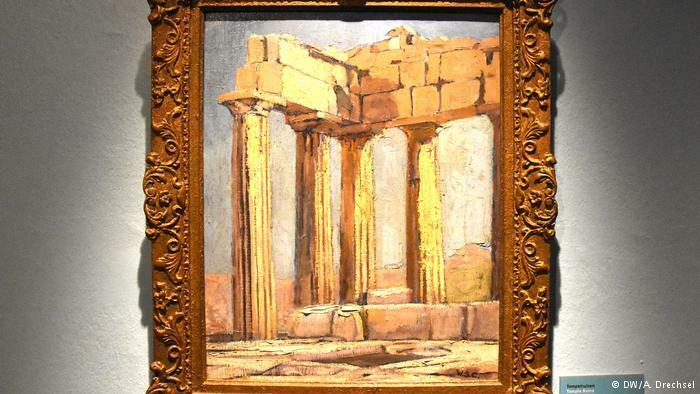 This painting of temple ruins was probably created in 1934. In 1956, Churchill gave it to German Chancellor Konrad Adenauer - Germany's first leader after World War II. 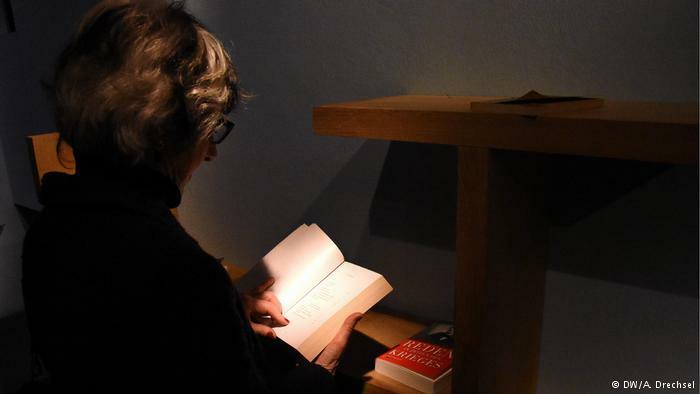 It recalls the destruction in Europe and the spirit of the antiquity, says Jörg-Philipp Thomsa, the director of the Günter Grass House. Along with 11 paintings, the Lübeck exhibition is also displays numerous writings and speeches by the former British prime minister.